Motorists in the Nottingham area may want to take note of some traffic changes that will take place overnight on Tuesday into Wednesday. The ramps from northbound Interstate 95 and southbound Interstate 95 to I-695 East (Inner Loop) will be closed overnight. 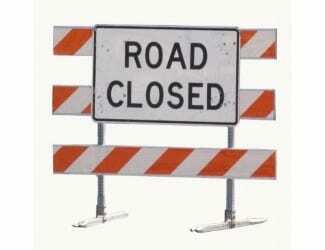 Weather permitting, the closure will take place on Tuesday, September 20, from 10 p.m. to 5 a.m. the following morning. Crews will be paving the roadway as part of the Maryland Transportation Authority‘s (MDTA) I-95 Improvement Project with Express Toll Lanes (ETL). The current work at the I-95/I-695 interchange will reconstruct and realign I-695 from US 1 to MD 7 (Philadelphia Road).